Every business has a similar long-term goal—to generate rising profits by expanding the customer base and continually improving the product. The enterprises more likely to rapidly achieve these objectives and gain an advantage over their competitors will enhance their day-to-day processes using finance process automation. With today’s age of endless supply, customers can select from a plethora of providers for almost any product or service. The most efficient and customer-minded business are more likely to win over new clientele, and companies running on innovative software are more apt to rise to the task. Since capital and cash flow are at the core of daily business transactions, automating these repetitive and tedious processes can be a natural stepping-stone to the next level of productivity and success. When your company’s financial procedures run automatically, processes are set in place by standardized forms created in an adjustable template. When a form is completed, the workflow begins—the task travels through all the appropriate channels for approval, and any required revisions are made within the process and can be reviewed by the relevant participants when the necessary conditions are met. All financial data is gathered directly from the corresponding forms, and the desired spreadsheets and reports are automatically rendered. Does this mean bookkeepers or accountants are no longer needed? Not at all! An employee’s finance department staff can easily navigate the intuitive apps; they do not have to be an IT expert to create the forms and begin workflow. Still, the department’s numerous repetitive tasks can be more productive with the application of automated workflow software. Manual processes such as spreadsheet data transfers can be quite tedious, especially when a business is growing and data begins to mount. Under the stress of an overwhelming amount of data, even the most experienced bookkeepers are capable of mistakes. When discrepancies occur on a manual process, the accounts and numbers have to be checked line by line—a time-consuming, excruciating task. From the start, a company culture set on productivity can be constructed by choosing automation for financial data transfers, yielding higher output and better customer service. Automated workflows generate easily trackable processes. From the beginning, defined tasks are given a specific plan accessible by colleagues who can track each financial order, request, or approval. The accountability created by such a linked system decreases opportunities for fraudulent activity. Consider how a structured system would affect tax law compliance; an accurate system with the proper conditions would ensure the correct amount of taxes are being received from customers and also paid out by the company. Also, only relevant parties are granted access to the financial processes involved in their particular job duties, so information is kept secure from unrelated users. When companies begin to grow, often more staff is hired for the finance department to keep up with the subsequently increasing amount of data transfers for purchase orders, invoice processing, payroll, etc. However, spending excess profits on new team members to keep up with the surging data is counterproductive. Implementing automated financial processes reduces the significant cost of hiring extra staff, freeing up excess funds to be allocated in other pertinent areas and enabling quicker expansion. When budget or expense approvals are sent to the wrong person, the entire process is put on hold. Instead of losing this valuable time, colleagues can view the flow of approvals and directly address any bottlenecks. Smaller monetary requests usually need fewer approvals than more substantial amounts, so a condition can be created to send authorization to top management only when the request is over a certain amount, cutting down approval time and freeing up management for more significant tasks. Digital invoices, receipts, and other essential documents can still be misplaced in the wrong computer files. However, on automated financial processes, all records are uploaded into a universal system, reducing delays due to lost items and tracking confusion. Imagine the efficiency that could be achieved if all these delays were eliminated! Consistent, automated workflows produce clear expectations, improving cooperation with the finance department. If an employee needs a travel request, the form will always be in the same place on the same system, and its progress through the workflow can be tracked. Likewise, when reimbursement time comes, the ability to easily upload receipt information on a phone app precludes most excuses for late submissions. Alerts and notifications regarding due dates for financial documents are automatically sent by the system so no one can feel personally “pestered” by the finance department. A mutual understanding ensues, and all colleagues are equipped to complete their respective task in the workflow on time. The arrival of the digital age increased efficiency through easy document sharing without the need for hard copies. 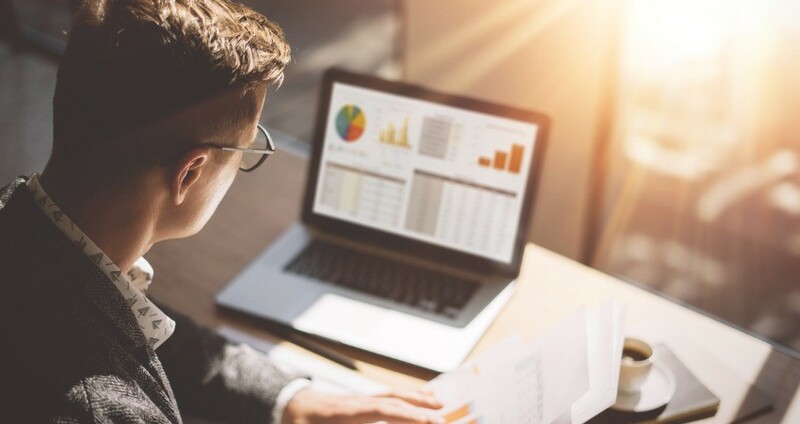 Bookkeeping software eased the process of creating financial statements, but the data transfer and approval processes surrounding bookkeeping remain cumbersome. If employees are repeatedly making the same financial spreadsheets, producing the same expense forms, and hunting down digital invoices/receipts, productivity still lags. Finance process automation integrates with bookkeeping software, easing the workflow encompassing financial forms; financial data can be sent directly from the system to the bookkeeping software, reducing the tediousness of data transfers. Getting on board early with automated processes will not only improve the finance department’s productivity but will also enable your business to compete by freeing up resources to offer refined customer service and higher quality product as the company grows. According to Formstack’s report The State of Workflow Automation in 2018, organizations using automated processes are saving an average of $46,000 annually. Imagine how these savings could be reinvested into your business! Experience an advanced way to manage financial workflows and be amazed at the finance department’s reduced stress and workload by using finance process automation. Take a bold step for the future of your business—the results will be astonishing!